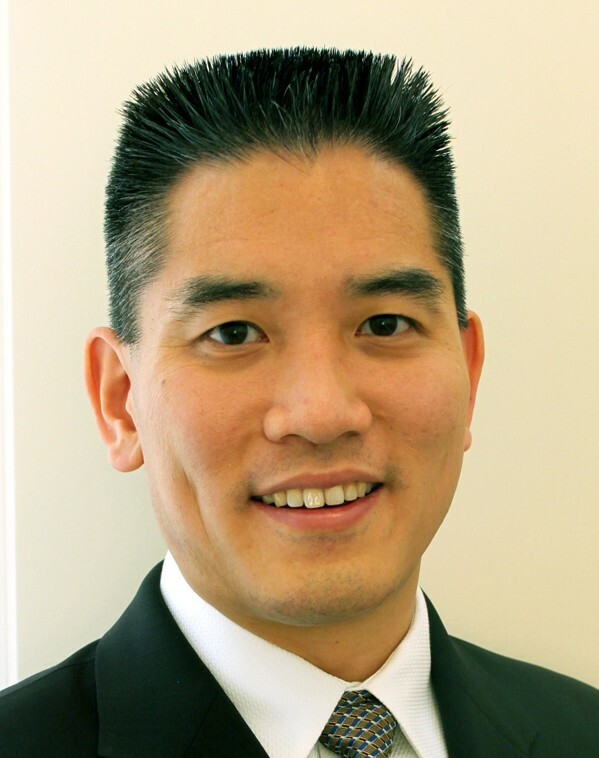 Dr. Kwon is a surgeon-scientist with advanced training in spine surgery and also a PhD in neuroscience. He is a Professor in the UBC Department of Orthopaedics. As an attending orthopaedic spine surgeon at Vancouver General Hospital his practice is focused on the management of adult spine trauma, spinal cord injuries, and non-traumatic conditions such as spine infection, deformity, and degeneration. As a neuroscientist and Principal Investigator at ICORD, Dr. Kwon runs an active basic/translational research laboratory. Dr. Kwon is currently also serving as the Associate Director, Clinical Research, for ICORD, and is the Associate Scientific Director of the Rick Hansen Institute. Currently, Dr. Kwon is leading a national clinical trial in acute SCI to establish biomarkers of injury, improved guidelines for the management of patients in the early stages of their injury, and a more complete picture of the pathophysiology of acute human SCI. In the laboratory, he has developed new models to facilitate the preclinical evaluation of novel therapeutic strategies. He has conducted the “bench” scientific studies on a neuroprotective drug that is now moving “to the bedside” in a human clinical trial of acute SCI. He is also actively involved in establishing a ‘translational roadmap’ for the preclinical validation of novel therapies such as stem cells. Dr. Kwon loves working with ICORD because of the multidisciplinary interface between science and medicine. He enjoys the ease with which his research can translate from “bench-to-bedside” and “bedside back to bench” with ICORD situated right on the campus of Vancouver General Hospital, the provincial referral center for all acute spinal cord injuries in British Columbia. The interdisciplinary nature of Dr. Kwon’s research program has facilitated the establishment of strong collaborations both within and beyond UBC. Within UBC, he collaborates directly on studies of spinal cord injury with a core group of researchers, which include Dr. Peter Cripton and Dr. Tom Oxland who study injury biomechanics and prevention, Dr. Wolfram Tetzlaff who studies neuroregeneration, and Dr. Marcel Dvorak who studies clinical SCI. In addition to this core group, Dr. Kwon collaborates with researchers from numerous disciplines across UBC including Dr. Judy Illes (Canada Research Chair in Neuroethics) to study the ethics of stem cell treatments for SCI. He has also generated research collaborations with Dr. Bruce McManus, the Director of the iCAPTURE Centre at St. Paul’s Hospital and with Dr. Leonard Foster (Dept. of Biochemistry & Molecular Biology) at the Centre for High Through-put Biology (ChiBi) to conduct proteomic assessments after acute SCI in human patients and in experimental models. Beyond UBC, Dr. Kwon has established strategic, project-based collaborations with the clinical community and scholars at other Canadian and international institutions. As the Principal Investigator of the Canadian Multicenter CSF Pressure and Biomarker (CAMPER) study, Dr. Kwon has established direct collaborations with spine surgical colleagues in Calgary (Drs. Steve Casha and Brad Jacobs), London (Dr. Chris Bailey), Montreal (Dr. Stefan Parent), Ottawa (Dr. Eve Tsai), and Halifax (Dr. Sean Christie). He is currently collaborating with Dr. Greg Dekaban and Dr. Lynne Weaver from the University of Western Ontario to preclinically evaluate a promising monoclonal antibody treatment which decreases neutrophil invasion and inflammation within the injured spinal cord. Beyond Canadian borders, Dr. Kwon has collaborations with the United States Department of Defense in the study of spinal cord injury as this relates to soldiers injured in battle. Dr. Kwon is also developing relationships with researchers around the globe who are interested in utilizing his CSF samples and biobank to evaluate proteins that they have only been able to study in animal models up until now. Biomarkers are important for clinically validating new therapies. Dr. Kwon has found biomarkers in cerebrospinal fluid (CSF) which indicate the pathophysiology of SCI. CSF pressure is an important factor in secondary damage after traumatic SCI. Lowering pressure by draining CSF is a common technique for treating certain aortic aneurysms, but has not been evaluated for treatment of SCI. Dr. Kwon found that CSF drainage was not associated with negative effects when used to treat acute traumatic SCI. Dr. Kwon is currently seeking a PhD student to join his research team. This position will be jointly supervised by Dr. Kwon and Dr. Femke Streijger, Research Associate, ICORD. Starting salary is $21,000 per year. You will be expected to apply for competitive external funding. Other funding opportunities (Teaching Assistant or Work Learn positions) may also be possible. To be eligible for this position, you should have an M.Sc. from a recognized university and be accepted by the Faculty of Graduate Studies at the University of British Columbia. Your verbal and written English communication skills must be excellent. Competitive candidates will have extensive experience with in-vivo micro-dialysis, ELISA and multiplex analysis, immunohistochemistry, microscopy, FACS and animal behavioral testing. Preference will be given to applicants with published scientific manuscripts and at least one first-author publication in the field. To apply, please send a cover letter outlining your research interests, a CV, and the names and contact information of 3 references to Dr. Femke Streijger by email or post (click for mailing address). Mattucci, S et al.. 2019. Development of a Traumatic Cervical Dislocation Spinal Cord Injury Model with Residual Compression in the Rat.. J. Neurosci. Methods. doi: 10.1016/j.jneumeth.2019.03.010. Gao, Y, Vijayaraghavalu, S, Stees, M, Kwon, BK, Labhasetwar, V. 2019. Evaluating accessibility of intravenously administered nanoparticles at the lesion site in rat and pig contusion models of spinal cord injury.. J Control Release. doi: 10.1016/j.jconrel.2019.03.026. Evaniew, N et al.. 2019. Unbiased Recursive Partitioning to Stratify Patients with Acute Traumatic Spinal Cord Injuries: External Validity in an Observational Cohort Study.. J. Neurotrauma. doi: 10.1089/neu.2018.6335. Tigchelaar, S et al.. 2019. MicroRNA biomarkers in cerebrospinal fluid and serum reflect injury severity in human acute traumatic spinal cord injury.. J. Neurotrauma. doi: 10.1089/neu.2018.6256.